Do not despise the words of the prophets, but test everything; hold fast to what is good. “But that’s the way we’ve always done it.” This is perhaps one of the most common phrases used throughout regular church life. Whenever someone has a new idea or a suggestion, a vision for the future, or even just a simple dream, it is not uncommon for someone to say “But that’s the way we’ve always done it.” After all, the church has been doing some of the same things for centuries: we break bread with one another and partake in communion, we celebrate Advent and Easter, we pray the Lord’s Prayer together. However, one of the things that makes the church truly vibrant is our willingness to experiment, to test everything, and seek new ways to interact with God’s grace. 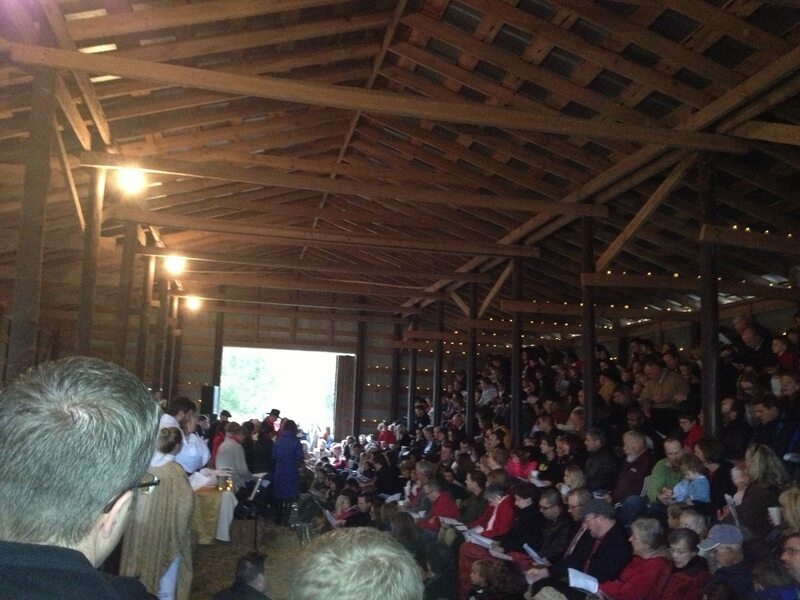 There is a church outside of Durham, North Carolina that celebrates Christmas Eve in a local barn. While other Christians are sitting in the warmth of their sanctuaries, listening to the beautiful message of a baby being born into the world, this church stands together in the frigid cold, singing hymns through chattering teeth, while the stench of animals wafts throughout the barn. I can imagine the first time someone brought up the idea for barn-worship, only to be met with “but we’ve always had Christmas Eve in the sanctuary!” Somehow or another the vision became a reality and it is now integral to the life of the community. The barn-yard service has given a new dimension and depth to the Christmas message to people who had become numb to the repetitious practices of the past. Through the willingness of someone to test the system, to propose a radically new idea, the message of God’s love in Jesus Christ has been spread to a group of people who otherwise might’ve have missed the Good News. There is a church in Virginia that has a bluegrass band come to the sanctuary to play their Christmas Eve music. After years of hearing the same hymns from the organ, the pastor proposed a new musical style to relight the flame of faith. Though some were enraged by this new idea, it brought in an entirely new set of people who previously saw the church as a lifeless congregation. The bluegrass service is now one of the most highly attended during the year primarily because of the new musical genre. Through the willingness of someone to test the system, to propose a radically new idea, the message of God’s love in Jesus Christ has been spread to a group of people who otherwise might’ve have missed the Good News. Paul encouraged the church in Thessalonica to “test everything” by what was good for the people. If something in your life has become flat and lifeless, let it go and seek something new. The beauty of church comes from our willingness to experience God’s wonder in a myriad of different ways. This advent season, I encourage you to “test” and explore your faith in vibrant ways. Seek out opportunities to catch a new glimpse of God’s glory from the people around you. And remember to hold fast to the good so that others might see the Good News through you. This entry was posted in New Testament and tagged Advent, Barn, Bluegrass, Christmas, church, Devotional, Dream, Grace, New Testament, Test, Thessalonians, Vision. Bookmark the permalink.